Inside the junk food section of a downtown department store, I decided to stop listening to my jazz collection at home. Two weeks back, my family sought shelter in a Cebu City pension house from a scheduled overnight brownout in Lapu-Lapu City. We went to a downtown department store to stock on food and refreshments when we ended up, inevitably, on the biscuits and junk food section. 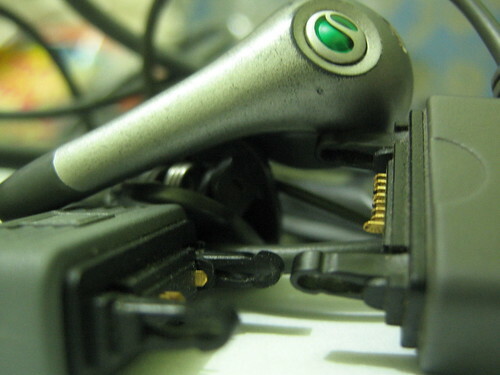 SONY ERICSSON CONNECTORS. If there’s one weak spot in Sony Ericsson phones, it’s the way its data cable and earphone connects to the unit. After a year, you’d start to experience cutting off of connections. Our four-year-old son kept saying he wanted potato chips so I brought him to where there were rows of various potato chips in different flavors. He got one pack, placed it in the grocery cart, and then sang “you like pot-ah-to, I like patata.” He sang the song repeatedly that night–on our way to another department store, on our way to the pension house, while eating the potato chips. His brother got into the act, repeatedly singing the line “everyone’s gone to the moon” in a mock Nina Simone rendition. It was a room full of singing, out of tune.